Last updated by Hannah Nolan at November 25, 2014 . How many times have your heard yourself saying half way through the week, “ah to hell with it, this week has gone to pot – I’ll start the diet again on Monday”? For most of us who struggle with our weight and implementing changes into our diets this is often a common occurrence and at this time of year, as the year starts to draw to a close, that “start on Monday” can often already start to be extended even further to, “sure it’s almost Christmas now, and I know I’ll want to enjoy that – eat, drink and be merry………so I’ll start the diet in the New Year”. Speaking to my members, both online and face to face in the studio, I come across this a lot and last week was when I first heard people saying that they were going to “wait until the New Year” before they started again. The thing is I suppose if we actually stop and think about the whole Christmas and New year season – it is only actually made up of a handful of individual days! Yes – we want to enjoy the food we and our loved ones prepared and NO there is absolutely NOTHING wrong with having a few festive drinks, however in reality this does NOT have to mean throwing everything away too. You literally CAN have your cake and eat it with a bit of careful preparation and planning ahead. Think about how many physical days you will actually be celebrating?! So, we have Christmas day, you have St. Stephen’s day, you have New Years Eve and New Years day – so far that is 4 days. Lets throw in perhaps a visit to Santa with the kids and 2 or 3 occasions where you may have either a business lunch party or a visit to other family members and lets throw in an extra 2 visits with friends for good measure. Well that totals 10 days / occasions. So – even if you count only the month of December you still have 21 days left where you actually have no excuses to be eating and drinking all around you. 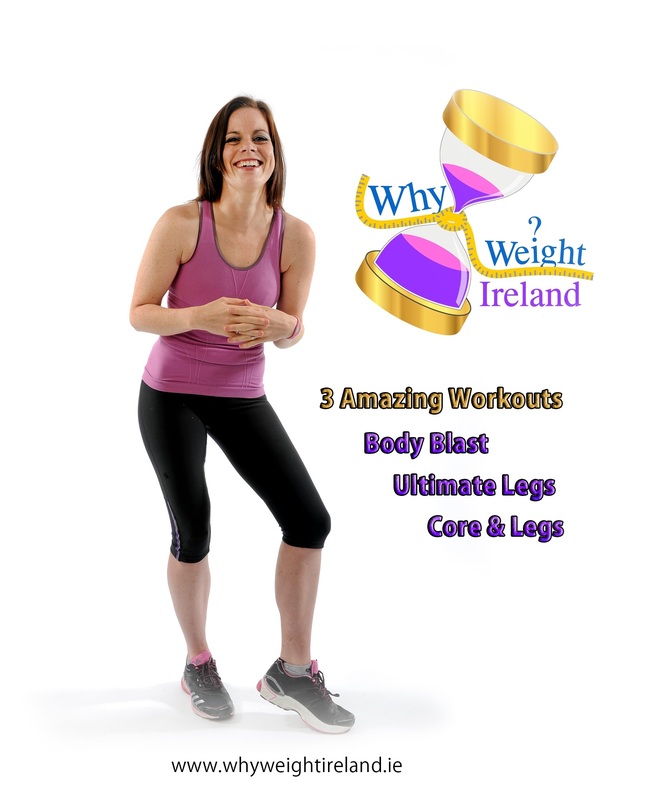 If you plan wisely and accommodate all your various occasions you can very easily balance it all off and actually still LOSE weight with a planned approach and without having to be a party pooper either! 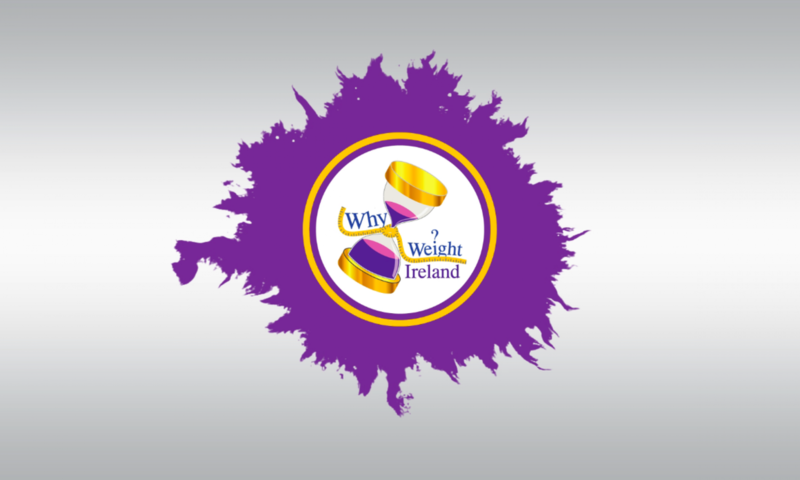 If you are using the Why Weight Ireland® food and exercise diary then you can go into your settings and add a “treat day” or even 2 treat days to your diary that week and it will automatically adjust your food intake for the rest of the week so that you can enjoy your treat days guilt free and still continue to hit your weight loss target. If you don’t fancy cutting down on the food – then try adding a little extra movement each day to balance off the overspend of calories on those days out. Just 20 minutes of extra moderate intensity exercise per day would equate to a whole DAYS calorie amount of food over the whole week so little and often really does add up! On the days where you know you will have a heavy food or drink intake, try to plan in some exercise early on in the day so that you can enjoy your event and also feel energized and refreshed instead of tired and sluggish! I find even if I feel miserable and don’t want to exercise – I ALWAYS feel so much better afterwards and am so grateful I decided to get it done! If you find that you are just too busy and can’t fit in normal exercise – then there are lots of other ways that you can keep busy and burn calories by doing normal household chores or running around getting last minute bits of shopping done. Any time you are moving – you are burning! The issue usually comes about when we start grabbing food on the go and reaching for completely the wrong types of food without a second thought “because we are busy”. Busy does not have to mean poor food choices, and again this simply comes down to a little amount of forward planning. If you know you are going to be rushed off your feet and busy then have a think the night before about your food choices for the following day. Have something healthy ready so that that when you feel hungry your first and easiest choice is the healthy option you have pre-prepared and brought with you. If you have it there ready to go – it is much more difficult to persuade yourself that a junk option is a better choice! If you decide to let the 4 – 10 potential days over the holiday season effect your eating habits for the next 6 weeks you could potentially gain anywhere from 7 – 14lbs! So your, “I will wait until New Year” leaves you starting an extra stone heavier and an extra 7 or more weeks behind just to shift the Christmas excess. HOWEVER, if you choose to start NOW you have FIVE whole weeks until Christmas day to make a difference, and 1 more week until the New Year where you can add a little more activity in to work away the Christmas excess. If you lose an average of 2lbs per week you will have lost almost a stone. Comparing this to letting it all go to pot you could be starting the New Year up to 1-2 Stone lighter! What a BIG difference! Lets think about it – we have a lot more days where we CAN do something to positively effect our health than ones that will cause disruption, so why oh why do we just throw away basically the rest of the year on the basis or a handful of days? The harder you work on those days that are the same as any other – the more you can enjoy the other days, and whats more REALLY enjoy them feeling fresh, energetic and slim instead of bloated and tired. The last few weeks I have had several members who have been really struggling to get into the zone and with two members in particular it was a mid-week intervention in both cases which really proved that actually you DON’T have to wait until Monday to start again. Both members I spoke to on a Thursday. We spoke about the exercise and food choices for the next few days and focused on taking one day at a time. We set both weigh-ins to Monday and bearing in mind this was a Thursday this only left 4 days for action. Undeterred by the bad start to the week and deciding against “waiting until Monday” to restart, both members pulled it back by adding a small amount of extra exercise and reducing their food by a small amount each day too. Making better and more careful food choices actually meant they were eating the same or more in terms of volume of food. And guess what – Monday came along with 1 of the ladies losing 2lbs and the other lady losing 4lbs! If they had “waited until Monday” – we quite possibly could’ve been looking at a gain but instead had made significant progress in just 4 days! Between now and January 1st 2015 we have 42 days (as of today). Of those 42 days – even if we give ourselves a very generous 12 days where we might be visiting, partying, entertaining or being entertained………that leaves 30 whole days, yes THIRTY days where we can actually make a difference! For some people who have relatively little to lose, this could actually mean being at GOAL weight by the new year and enjoying the January sales shopping for your new shape – instead of having to purchase larger baggier clothes whilst you wait for your new diet to kick in (I know which option I would prefer!). Of those 12 days probably only 1 or 2 will be directly after each other – so on each other occasion you will likely have days either side where you can work up and work off the difference which means your treat days will actually have ZERO knock on effect to your waistline. Plan in advance. Knowing what you are going to eat before the day even begins and you have a much higher rate of success. Have a healthy snack with you at all times is another way of preventing any “impulse” eating. If it is there ready to go – eat that first and then see how you feel. 9 times out of ten you will not be bothered to eat anything else afterwards. 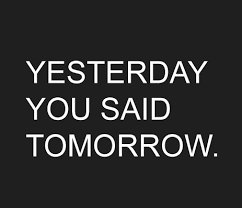 Plan your exercise – if it is planned ahead it is much easier to stick to! Plan your week – if you know when your parties/events/occasions are, then work your week around them. 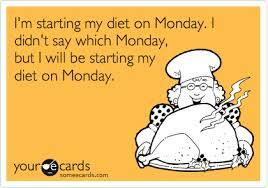 Adjust your activity and food choices for the week and really enjoy your special occasions guilt free. Plan your treat – give yourself an incentive to keep going, think of a new hair do for the New Year, or a new outfit or pair of shoes to give you something to aim for. There is no denying the Monday IS a good day to start, I don’t know why – but it is for me too, however just think of all of those days and opportunities you have missed out on just waiting for each Monday to come around again! Monday is just a day, just ONE day……Christmas is just ONE day………..EVERY day counts and can make a difference – so Why Weight? Start TODAY! With social media outlets limiting the viewing abilities for blog posts its imperative for readers to share the blog for it to be a success. Please take a few seconds to ‘Like’ and share the blog posts so that more people can read and hopefully be helped. I attended some of Hannah’s classes when they first began and I loved them. I was so happy when I could purchase the DVD and wow it is like being in Hannah’s classes all over again!I can really see how this DVD will benefit me already!